When the clouds are gray filled with spitting rain and a cold wind is blowing, tourists as well as locals are looking for something to do inside on a Saturday afternoon. The Bluemoonistic Team found ourselves in just this situation last weekend when we were in Abingdon, Virginia. 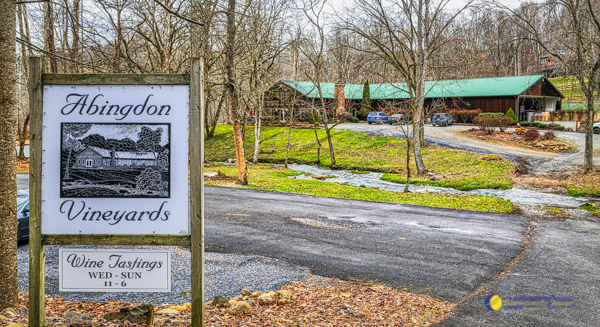 We had recently read an article about the new owners of the Abingdon Vineyards, Loren & Elizabeth Gardner, and decided to try it out. Since Abingdon is going to be our new Bluemoonistic Headquarters, we were eager to meet them and find out about the winery. It became one of the most amazing experiences one could hope for when you are the new kids in town! When we walked inside the tasting room and were greeted by a welcoming stone fireplace, big comfy leather sofas, the bar lined with people tasting wine and a beautiful ginger colored Vizsla called Jackson to greet us we knew we were in the right place! 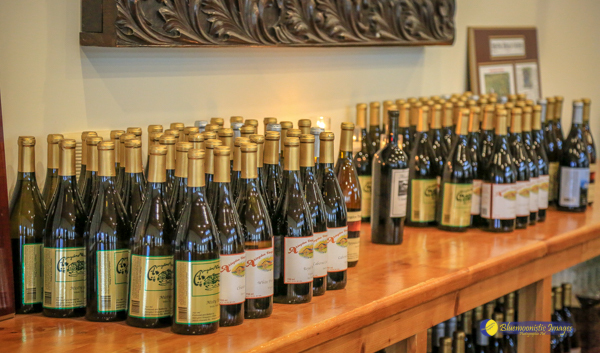 We started tasting the wines and were pleasantly thrilled how amazing they were! After spending three years living on the Weinstrasse in Germany we love good wines. We were not disappointed! Kevin Forrester served us wines and we appreciated his knowledge of the grapes and the process. Kevin was orginally from Damascus VA but had lived in California for many years where he met the new owners. They became best friends and when Kevin moved his family back to Virginia, Loren & Elizabeth came with them. 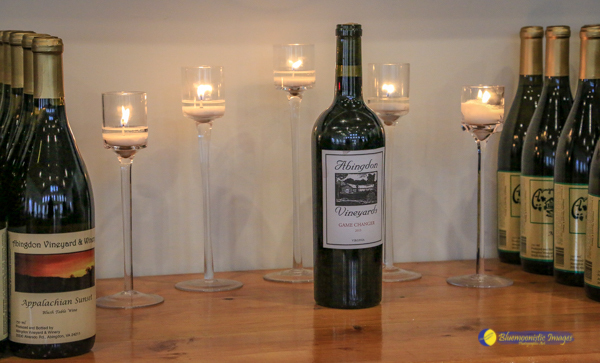 Loren grew up in the Napa Valley and studied viticulture at UC Davis so wine is something he had grown up around. They fell in love with the area and started looking for a farm. During their search they drove by the Abingdon Vineyards and the rest is history. We can see how this happened – the vineyards and the winery are in a perfect location along the South Fork Holston River. Our love of their wines and discussions about Virginia wines got us an invitation from the owner himself to tour the winery! 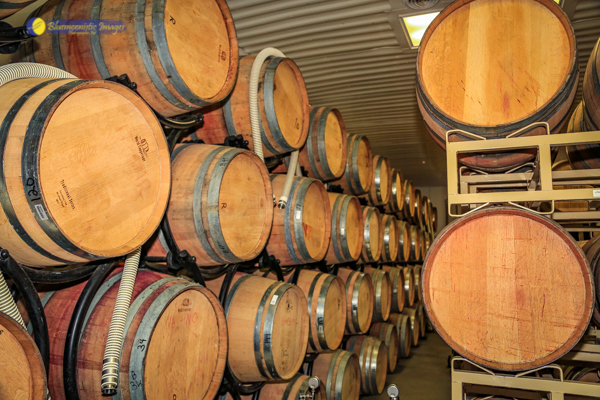 The lure of the smells from wine barrel lined rooms is an elixir to us. Loren let us taste his latest creation he calls “Game Changer” direct from the barrel and we knew we were in a magical place. The original Cellar Master, Kevin Sutherland, has remained on the job and between his expertise and Loren’s knowledge of wines and the business, we see great things for them in the future. New ideas are going to open many exciting avenues for them. 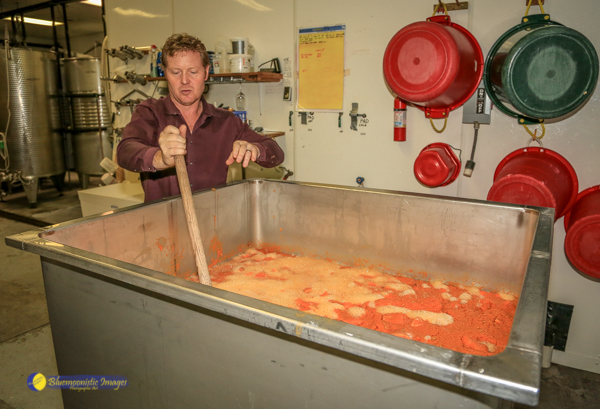 Watching Loren stir a huge vat of butternut squash that will be fermented into brandy showed us what exciting things lay in store. Going places no winery has ever gone before comes to mind! Our wine experience didn’t end there, however. We were invited to share a casual meal with those who work together to make all this happen. Good wine, good conversation and good food bring camaraderie like none other. Our thanks to the cooks – Loren, John and Anatasya – the meal was impressive! We were also joined by Loren & Elizabeth’s red headed sweet toddler, Ava Jean, whose sweetness made everything better. A chosen family of friends was something special to be part of and, hopefully, our contribution of photos that show the joy of such events will bring many of you to join in their wine dinners, events and tastings offered at Abingdon Vineyards in the future. When one can combine a love of good wine, a passion for natural foods and bringing people together you have the key to success! The Bluemoonistic Team will certainly be regulars. 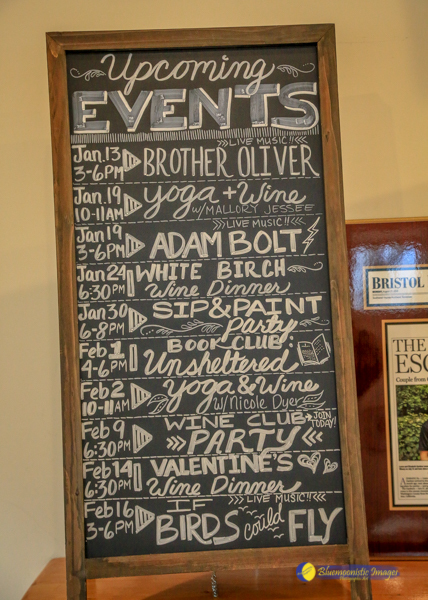 A wintry winery experience gave us a welcome to Abingdon like nothing else could have. One of those tables by the river will be calling us come summer. Their newest wine is aptly named because this place is indeed a “Game Changer”!